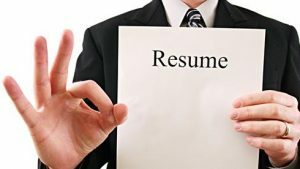 How to Write Your Own Resume…..START WRITING YOUR RESUME FROM THE END !!!! Writing a resume can be an overwhelming endeavour. Once you are finally ready to start, you have to gather names, dates, duties, responsibilities, schools you attended, seminars, workshops; it can be overwhelming. And it is. This is how most people start writing their resume. The worst part is that none of this information guarantees that you are going to land a job soon. Really nothing can guarantee it. But there is one thing that can really help you achieve your goal and its “Start writing your resume from the end”. What do I mean by start writing your resume from the end? What I mean is that before sitting down and writing your work history, your education or any other information, you should have a job posting, link or referral of the position you would like to get. Why is this so important? Because you want to read that posting several times, highlight the duties, qualifications and responsibilities; then ask yourself, do I have the qualifications? Do I have the skills? It doesn’t matter if you have not acquired those skills in the same industry or position. There are some qualifications and certificates that you definitely need for certain positions but skills and abilities are transferable. Make a list of the skills and qualifications they are asking for in the job posting and in another column write your skills and qualifications. Do they match? What percentage of the requirements do you have? Deep in your heart, would you hire yourself for this position? Remember, up to this moment, you haven’t started writing your resume yet. If you truly believe this position is for you, this is the moment when you start writing your resume. So here it is where I say start from the end. First write your qualifications, your skills and how they match what the recruiter is looking for in the new employee. Then, once you have all this written down, start writing your work history and education, always keeping in mind the job posting’s requirements. For example you may have had a position that had a lot of responsibilities but if the new position you are applying for requires experience in customer services, make sure you write “Customer Service” before any other duty or responsibility you may have had. Most likely, whoever is reading your resume is only going to read the top headings and maybe a couple of lines after that. It is your job to put those relevant skills, experience and qualifications right in front of their eyes. Make it easy, really easy for the reader (read hiring officer) to find what they want, what they posted.